I lead the HoloLens Science team at Microsoft in Cambridge. My research is focused at the intersection of computer vision, AI, machine learning, and graphics, with particular emphasis on systems that allow people to interact naturally with computers. We’re hiring! Looking for world-class engineers, post-docs, and researchers with expertise in computer vision, graphics, and machine learning. Thrilled to be setting up a new research group to help invent the future for Microsoft HoloLens. SIGGRAPH 2016 paper on efficient subdivision-surface based hand tracking. CVPR 2016 paper on hand shape calibration. Very excited to be chosen as an MIT Technology Review Innovator Under 35 2015! More details in this article. Hand Pose Estimation. Real-time, accurate, robust, and flexible articulated tracking of the human hand. Decision Jungles. Memory-efficient generalization of decision trees and forests with improved generalization. Scene Coordinate Regression Forests. A new approach to 6D camera pose estimation by regression 3D scene coordinates. Human pose estimation for Kinect. Our work on human body part recognition for Kinect. 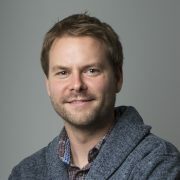 Jamie Shotton is a Partner Scientist and leads the HoloLens Science team at Microsoft in Cambridge, UK, where his team focuses on the visual understanding of people to improve interaction and communication in mixed reality. He studied Computer Science at the University of Cambridge, where he remained for his PhD in computer vision and machine learning. He joined Microsoft Research in 2008 where he was a research scientist and head of the Machine Intelligence & Perception group, before founding the HoloLens Science Cambridge team in 2016. His research focuses at the intersection of computer vision, AI, machine learning, and graphics, with particular emphasis on systems that allow people to interact naturally with computers. He has received multiple Best Paper and Best Demo awards at top-tier academic conferences. His work on machine learning for body part recognition for Kinect was awarded the Royal Academy of Engineering’s MacRobert Award 2011, and he shares Microsoft’s Outstanding Technical Achievement Award for 2012 with the Kinect engineering team. In 2014 he received the PAMI Young Researcher Award, and in 2015 the MIT Technology Review Innovator Under 35 Award (“TR35”). Tutorial on Decision Forests and Fields as presented at ICCV 2013. 7-Scenes RGB-D camera relocalization dataset now available. Decision Forests book including tutorial and software available here.